Visiting more than a hundred countries in one day is now possible thanks to world expositions such as the one happening this year in the Kazakh capital of Astana. 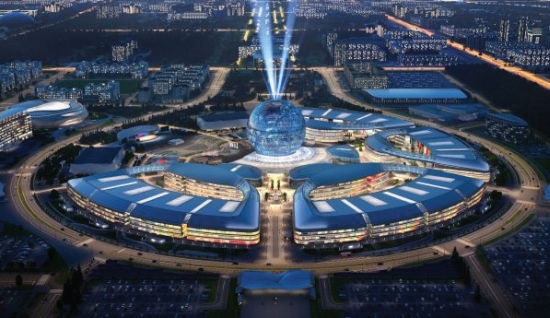 The longawaited EXPO 2017 kicked off June 10 with numerous pavilions open for public view. For the 25-year-old country, the exhibition has become the most important event in its history. Kazakhstan has had the experience of hosting large-scale events like the OSCE Summit in 2010 and the Asian Winter Games in 2011, but the EXPO 2017 supersedes all the others by its magnitude. EXPO 2017 has brought Kazakhstan’s existing strengths and values to the attention of the international community, reiterating our country’s commitments to moving forward together. The attendance of our opening ceremony by prominent world leaders, such as President of China Xi Jinping, President of Russia Vladimir Putin, and King Felipe VI of Spain, as well as UN Secretary General Antonio Guterres, goes to show the uniqueness and importance of EXPO 2017 on the global agenda. With EXPO 2017 now well under way, there are clear signs of lessons from the past few decades underpinning the objectives of this event. Hosting EXPO has, for instance, enabled our government to particularly focus on infrastructural progress, the improvement of education and the promotion of Kazakhstan’s culture to international audiences in time to mark its transition to a third stage of modernization. In our country’s development roadmap, known as the Kazakhstan 2050 Strategy, President Nursultan Nazarbayev outlined key areas, which would serve to aid our accession to the world’s top 30 economies. One of these was developing our country’s infrastructure and transport under the Nurly Zhol programme, to facilitate Kazakhstan’s role at the heart of the New Silk Road initiative. Hosting EXPO 2017 in our capital city has permitted our government to focus on supporting the needs of the event’s foreign and domestic visitors by establishing new facilities, ensuring Astana’s prospective role as a regional hub for finance and investment. Yet it is not only our capital that has benefitted from EXPO 2017. President Nazarbayev made a point in his opening speech of inviting everyone to visit all of Kazakhstan for the amazing nature as well as the historical heritage that we have to offer. The EXPO has also brought together Kazakhs from all corners of our country to appreciate our united progression. Another focal point for EXPO 2017 has been its beneficial effect upon the younger generations. The exposition aims to inspire children from all around Kazakhstan to play a role in developing these futuristic technologies by immersing them in the research at the forefront of science worldwide. For example, the Dutch Pavilion hosted the award ceremony of Holland Innovation Challenge. The aim of the Contest was to gather young talented students and experts from Kazakhstan and the Netherlands together to solve the environmental and energy problems of Kazakhstan. The winners were awarded by the Dutch Minister of Economic Affairs Henk Kamp, who came to Astana as an honourable guest of the meeting of Kazakh-Dutch Business Council. In this regard, it is astonishing to consider how far Kazakhstan has come in the 25 years of its independence and the confidence with which it has done so. The EXPO 2017 will be closing soon but the people of Kazakhstan will keep the memorable participation of 115 countries in their hearts for a long time.